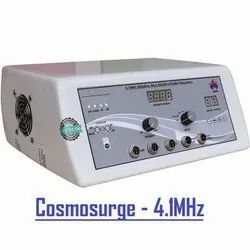 Manufacturer of a wide range of products which include endomax 4.1mhz radio frequency cautery, radio frequency cautery 2.8mhz, digital radio frequency cautery 3.5mhz, radio frequency hair removal unit and 4.1 mhz ablative - 3mhz non-abl radio frequency surgery unit. 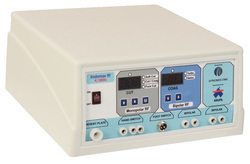 EndoMax 4.1MHz Radio Frequency Cautery is designed under the guidance of doctors having wide experience in advanced endoscopic spine procedures, with safety & precision for the use in minimally invasive spine procedures. 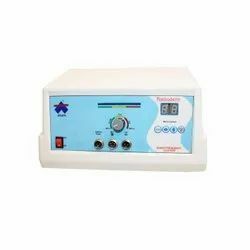 We offer to our clients superior range of Radio Frequency Cautery 2.8MHz, which delivers radio frequency (2.8MHz) wave. Selector Switch for Coag / Cut. Separate Mode of / IVIoraorsolar. Step Switch Intensity with Light Indicator. Insulated Electrodes-Portable & Easy to Operate. Foot switch & Hand switch Activated. Shock Proof Imported pencil type probe. 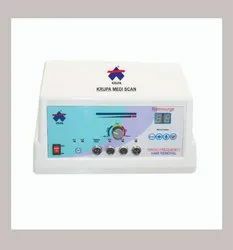 We offer to our clients superior range of Digital Radio Frequency Cautery 3.5MHz. Fully isolated Radio Frequency for patient safety. Pressure less cutting for lateral skin damage. Permanent hair removal by low temperature high frequency Effective on all type of skin & hair colours. We make use of latest technology while fabricating our wide range of Radio Frequency Hair Removal. Probe : Imported Pencil type for Radio Frequency : Tweezer Type for Hair Removal. No Need Of Ground Contact Or Skin Contact Of Antenna Plate. Granuloma. -Birth Mark. -Rhynophyma. -Xanthelasma. The Krupa Hair Removal system is the most advanced personal hair removal system on the market. It removes unwanted hair for good. For the first time ever it is now possible to perform professional electrolysis professional results can be achieved using the Krupa_hair removal system without the use of a needle. Tweezers are used instead to make the procedure safer and less painful Clinical studies have shown that the Krupa hair removal system has equivalent effectiveness as professional needle electrolysis. With vast medical field understanding, we are immersed in presenting Radio Frequency Surgery Unit 4.1 Mhz Ablative. M ol es _ -Tags _ -Actenickeratosis. -Granuloma. -Birth Mark. Rhynophyma -Xanthelasma. Face Lifting and Skin Tightening. Face and Neck Wrinkle Eliminating. Removes Acne And Black Circle Around Eyes. Three In One - Non - Ablative & Ablative RF With Hair Removal. 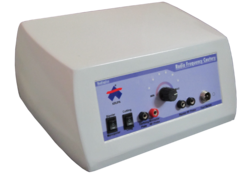 Patient isolation transformer for complete safety. No Need of ground contact or skin contact of Patient Plate. Pain less hair removal probe with conductivity Gel. No Need Anesthesia for warts, mole or tags.